After New South Wales won the opening State of Origin in Melbourne proceedings moved to the ANZ Stadium in Sydney, the heart of Blues country, for round two in the three match series. It was State against State, and mate against mate, with Queensland knowing that only a win would suffice in front of a sell-out and hostile crowd. Matt Prior came into the Blues line-up in place of Campbell-Gillard as the only change, while Billy Slater was back in the Queensland line-up at full-back for Morgan, with Kalyn Ponga replacing Millford on the bench. After a great start for Queensland, Dane Gagai had a try ruled out on eight minutes after the video referee adjudged that his knee had hit the touchline at the same time as he grounded. On twelve the referee pointed straight to the spot for the try when Valentine Holmes had space down the left, on the overlap, to take a Greg Inglis pass and score a metre in from the touchline. He pushed the conversion wide of the right upright but the Maroons had a platform upon which to build. On nineteen Dane Gagai got the second try, this one allowed after being refereed to the video referee, when released by Will Chambers to fend off the Blues tackler and go twenty metres down the right touchline to score while airborne towards the corner flag. This time Holmes added the conversion for a ten point Queensland lead and a Maroons side, being bossed by Billy Slater, in total control, but it wouldn’t last. New South Wales struck back on twenty-five as Josh Addo-Carr displayed sensational footwork to bamboozle Gagai, come inside, and go over. James Maloney snuck his conversion inside the left upright to reduce the arrears to four points. On the half hour Boyd Cordner was obstructed by Ben Hunt as he chased down a grubber kick. The referee sent the decision upstairs and the video review ended in the awarding of a controversial penalty try. Maloney added the conversion and the Blues were ahead for the first time. It had been a half of two halves. Queensland were totally in charge early on but NSW absorbed the pressure and struck back later in the forty. New South Wales had the best of the opening exchanges in the second half. With fifty on the clock Latrell Mitchell crashed the line wide left, on the last tackle, to ground off a James Tedesco back-door pass. Maloney added the touchline conversion for an eight point lead after eighteen unanswered points. Queensland had no option but to take the game to NSW. When the Blues spilled the ball on the half-way line the Maroons moved downfield and moving the ball quickly right Will Chambers slid over the line after going low off a Felise Kaufusi pass to get his side back into the game. Holmes pushed hhis conversion attempt across the face of the sticks for 14-18 with seventeen minutes remaining. On sixty-eight Kalyn Ponga went close before neing hauled down and as the Maroons rushed to play the ball James Roberts obstructed a runner and was given ten minutes in the sin-bin. The Blues stepped up their defence to cover for being a man short and kept their line intact for the full ten minutes. It was NSW who ended the game on the attack to seal back-to-back wins and take the series victory. This was a great game, full of skill, invention and bone crushing tackles between two evenly matched sides. The Blues emerged as victors for the series win and even Billy Slater couldn’t reverse the Maroons fortunes. The final game is now a dead rubber, but Queensland will want to regain some pride with a victory. 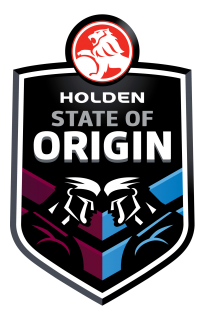 NSW: Tedesco, Trbojevic T, Mitchell (T), Roberts (SB on 68), Addo-Carr (T), Maloney (3G), Cleary, Klemmer, Cook, Campbell-Gillard, Cordner (PT), Frizell, de Belin. Subs: Vaughan, Trbojevic J, Crichton, Peachey. Queensland: Slater, Holmes (T, G), Inglis, Chambers (T), Gagai (T), Munster, Hunt, Napa, McCullough, Wallace, Cooper, Kaufusi, McGuire. Subs: Papalii, Hess, Arrow, Ponga.